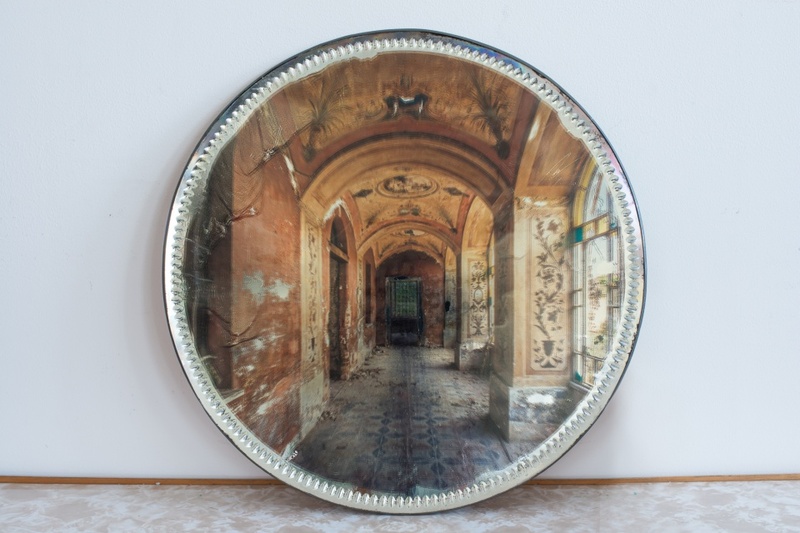 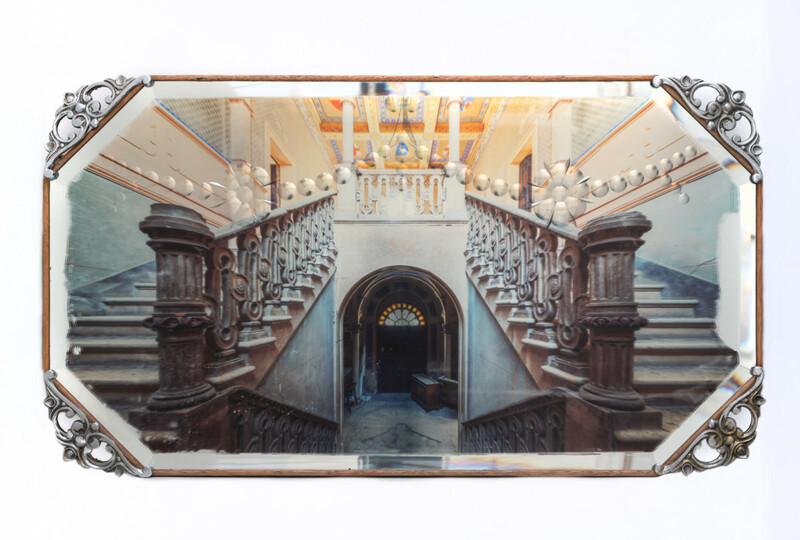 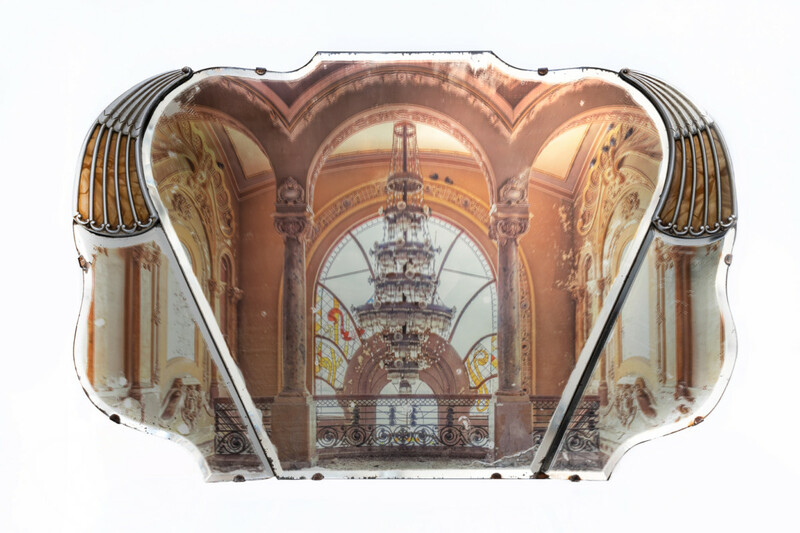 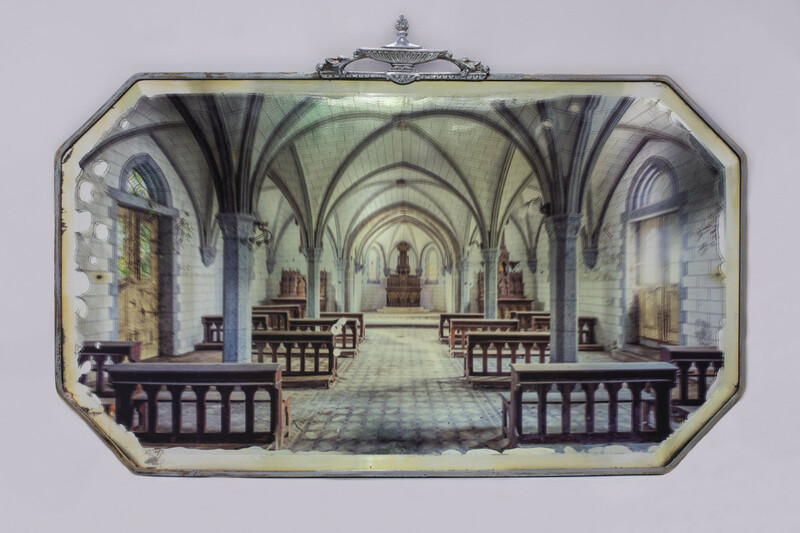 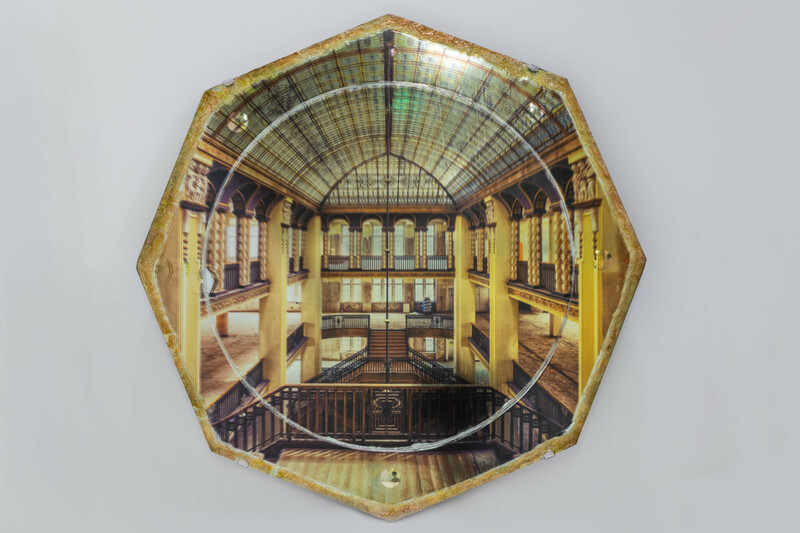 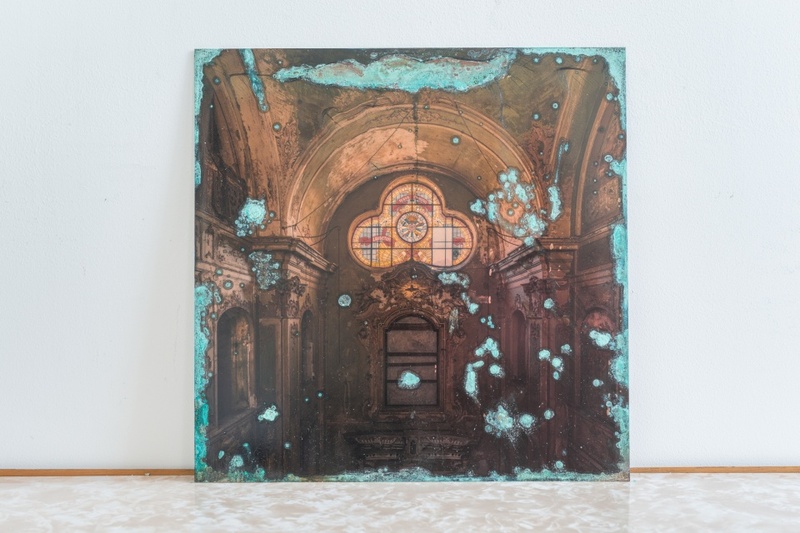 Corrodium marks a major new body of work for the British artist Gina Soden. 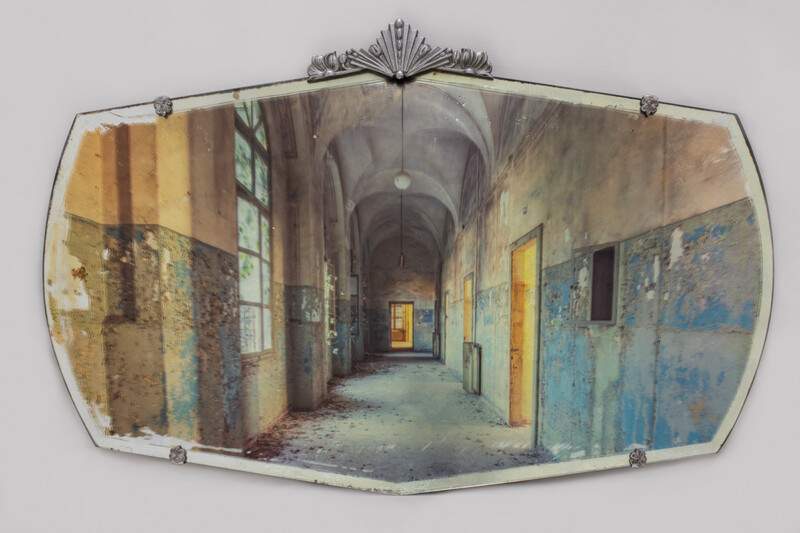 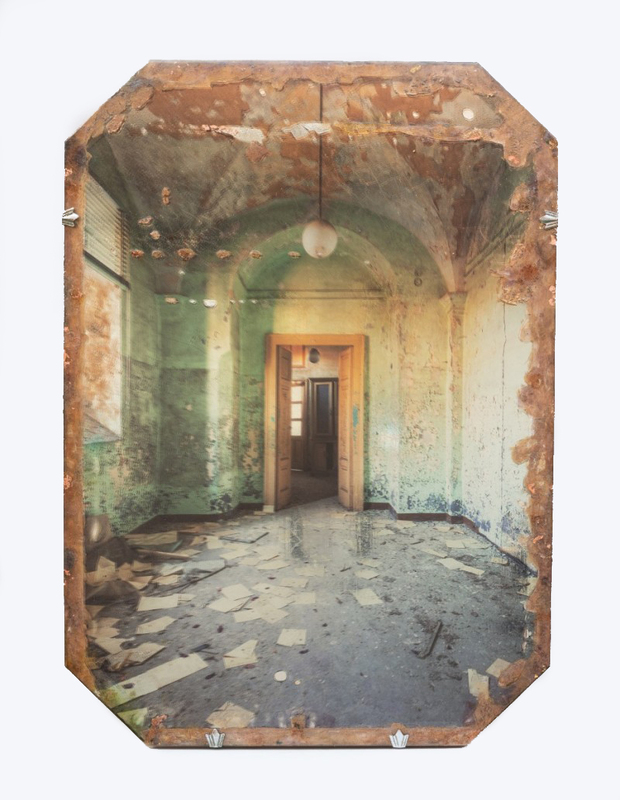 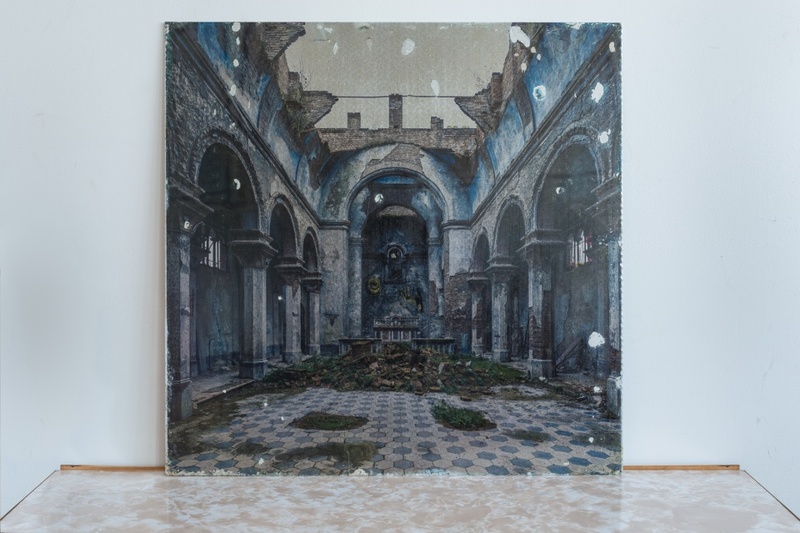 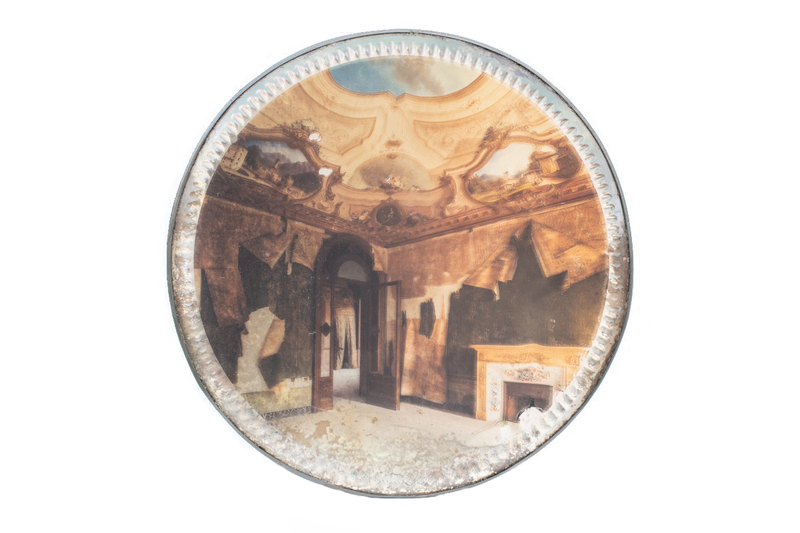 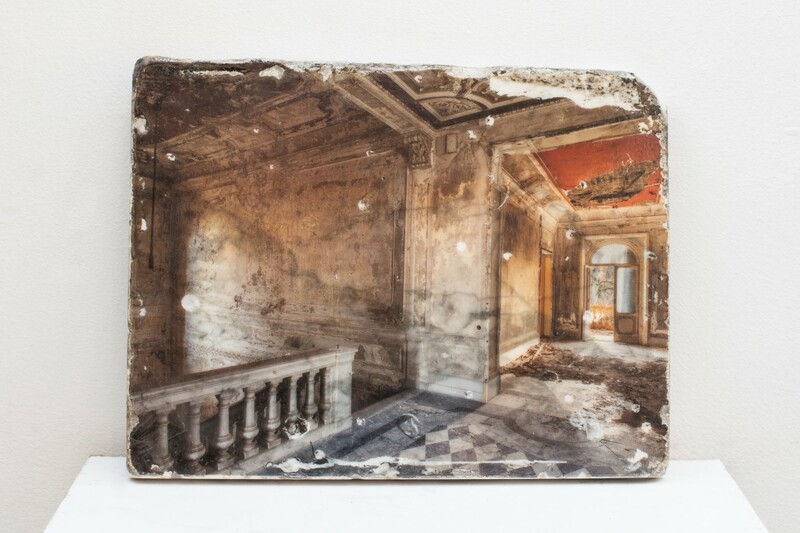 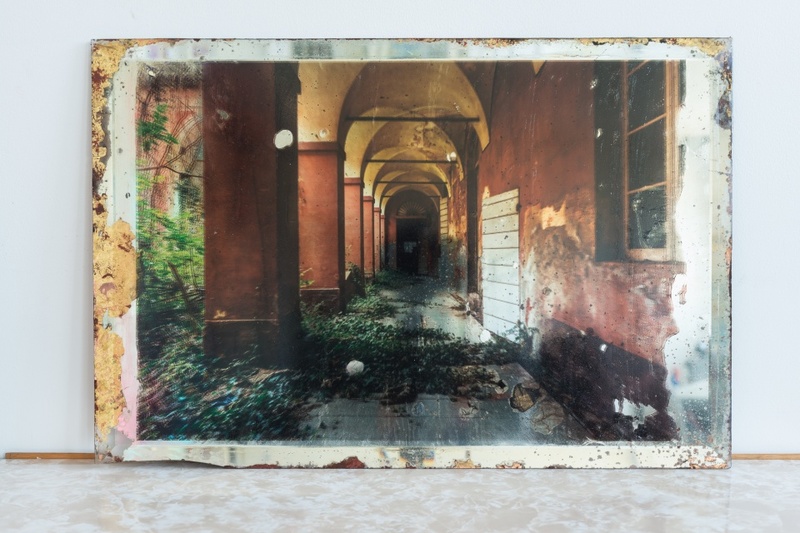 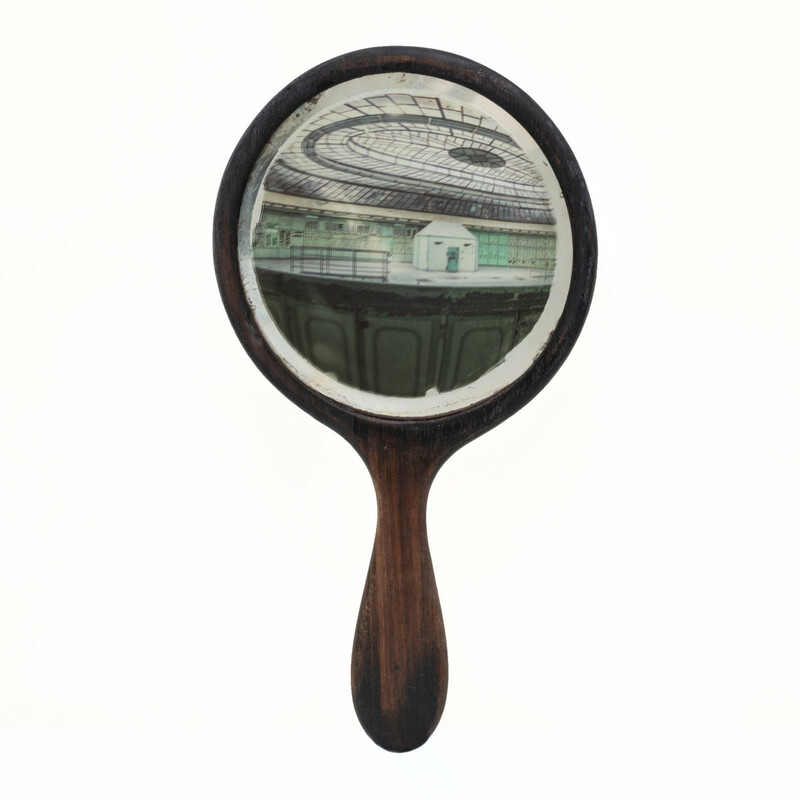 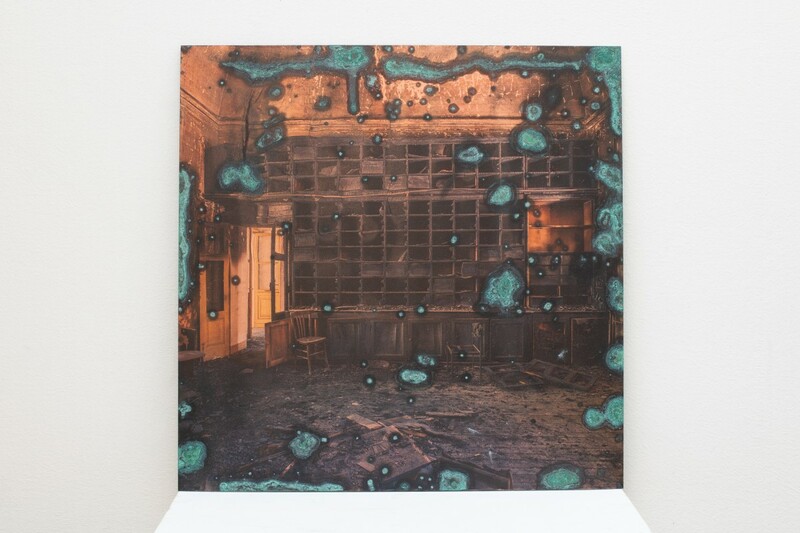 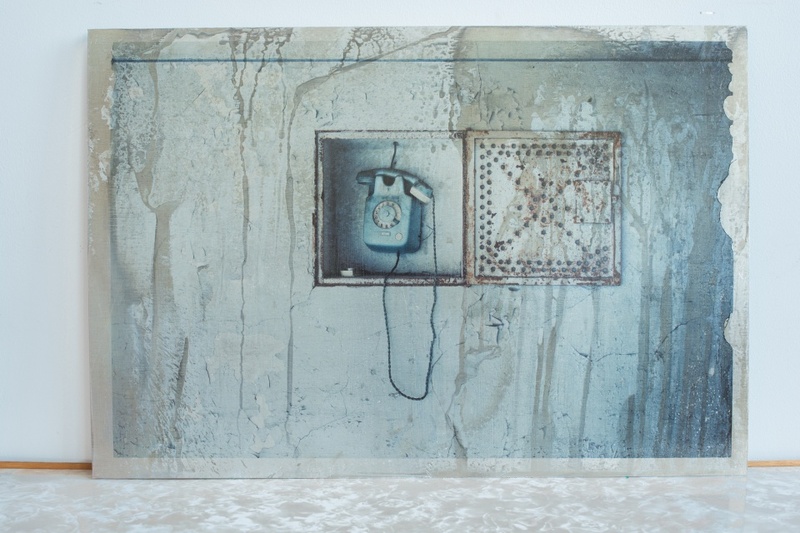 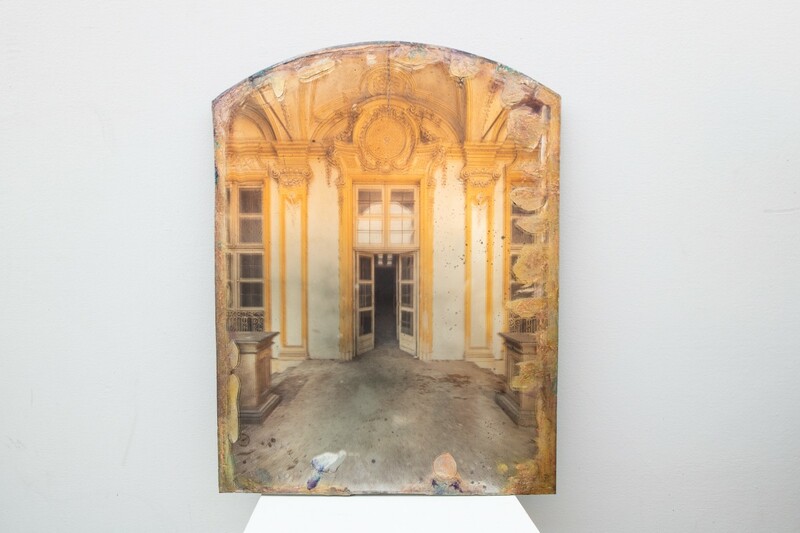 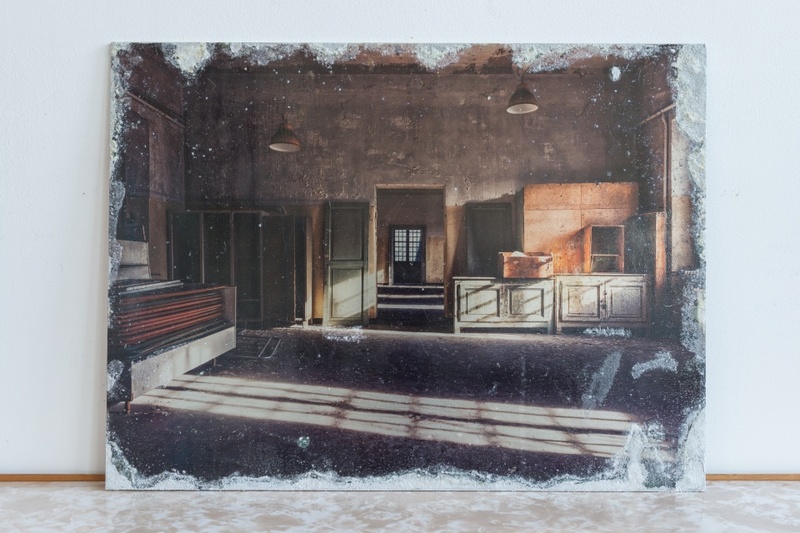 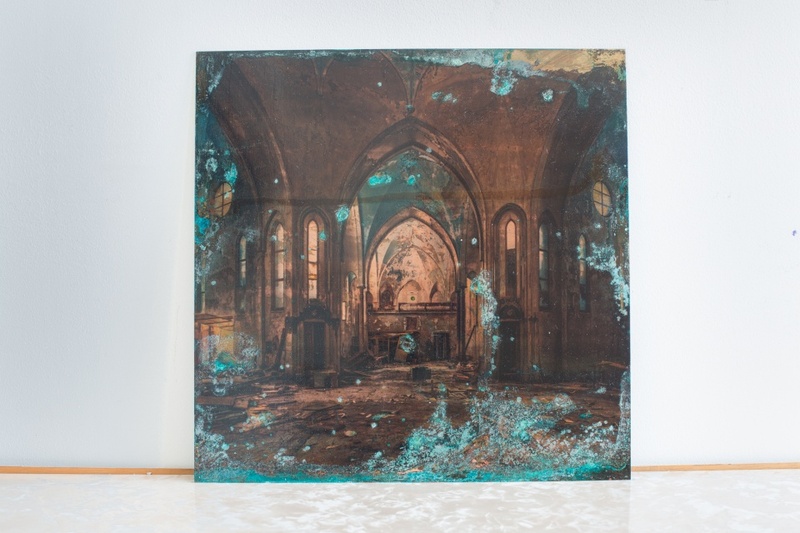 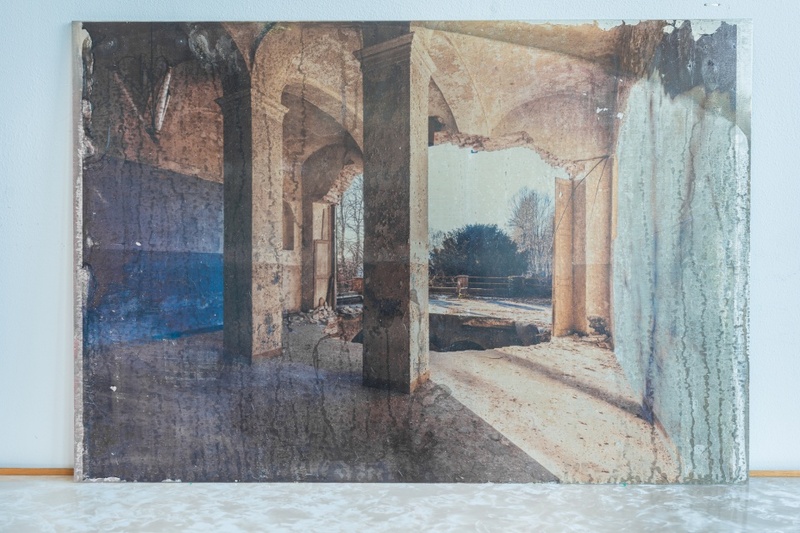 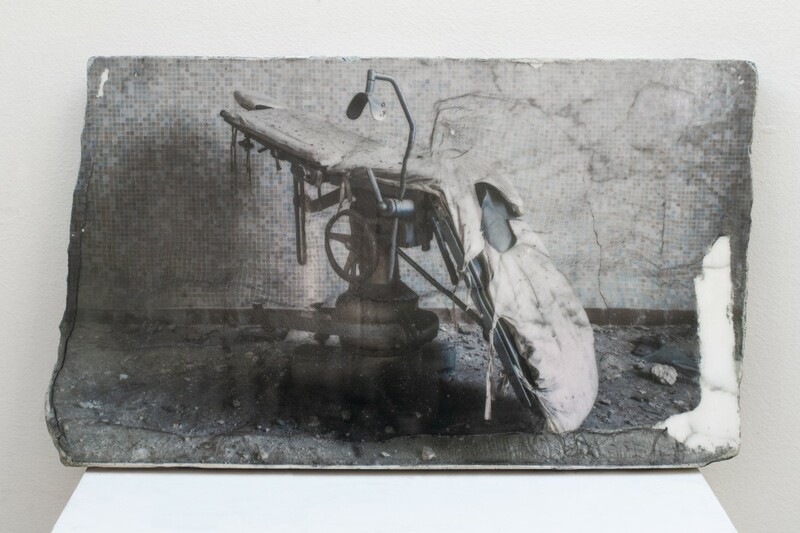 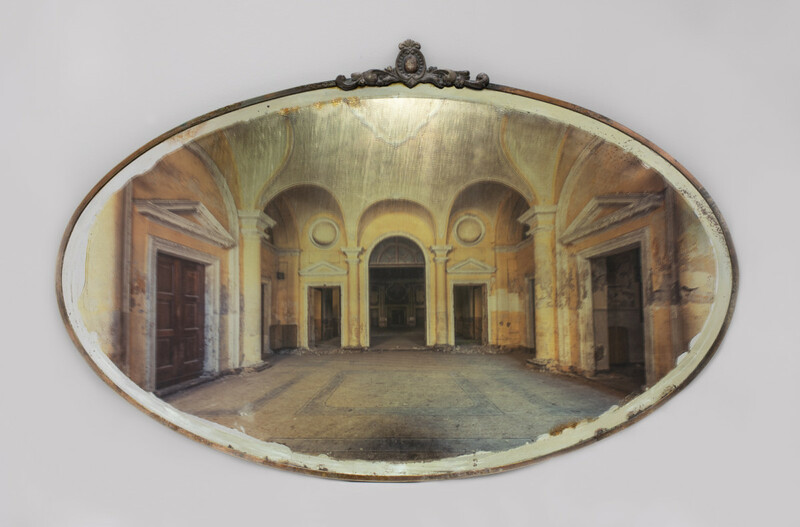 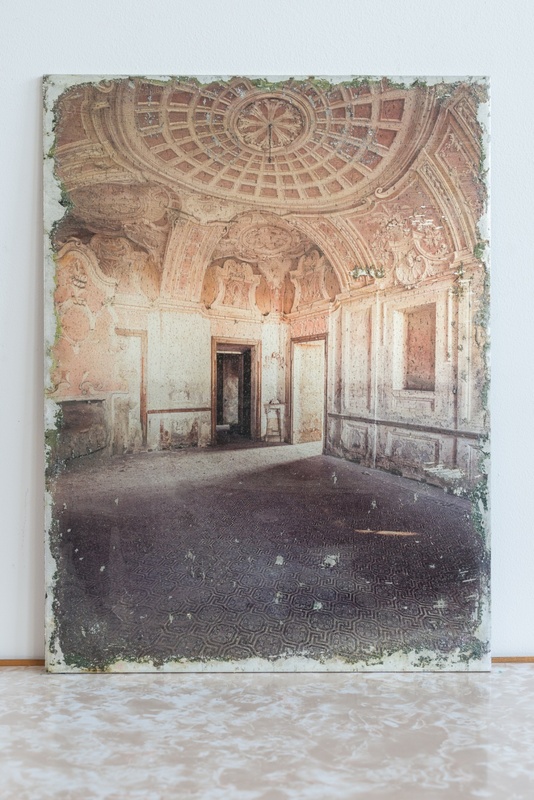 The series has developed over the last 2 years as Soden began to experiment with hand printing her imagery of abandoned buildings onto a variety of found materials. 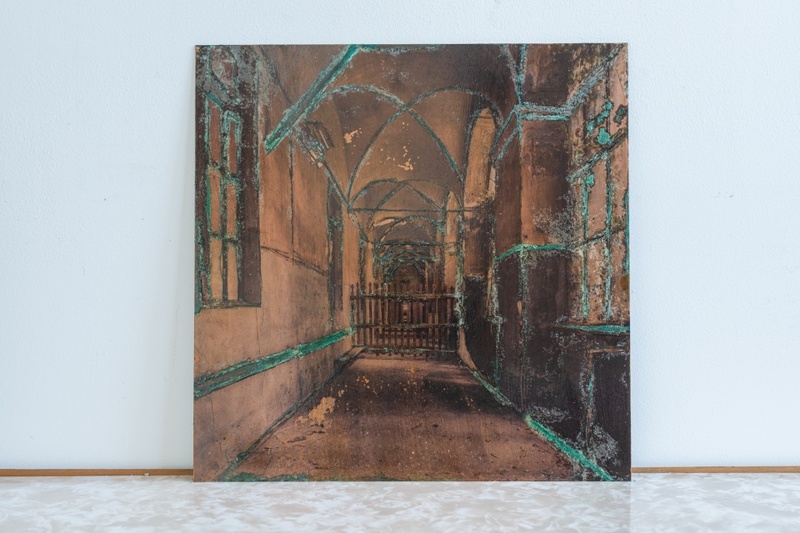 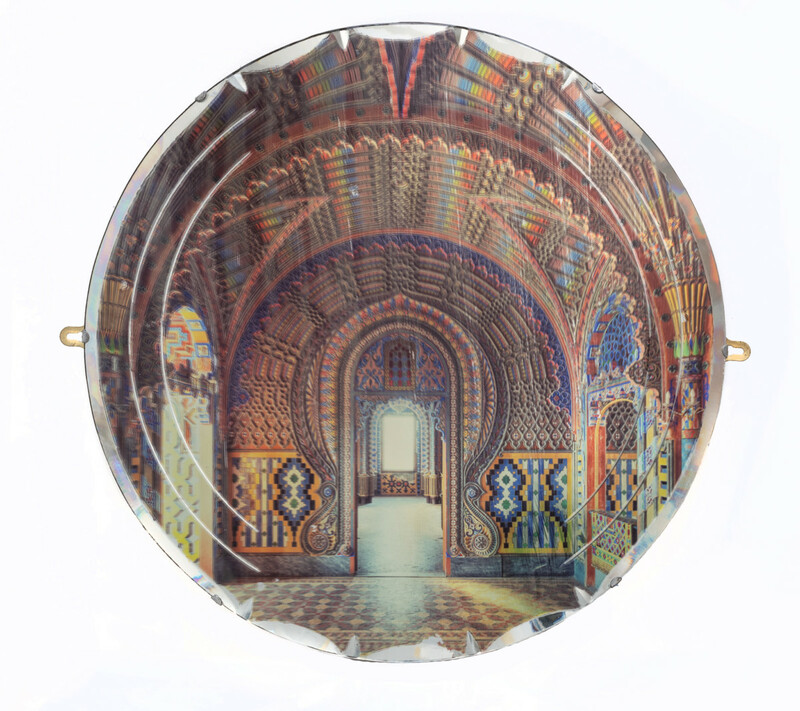 The process has developed in scale, ambition and range of surfaces including glass, reclaimed mirrors with foxing, copper sheets, aged aluminium sheets and steel. 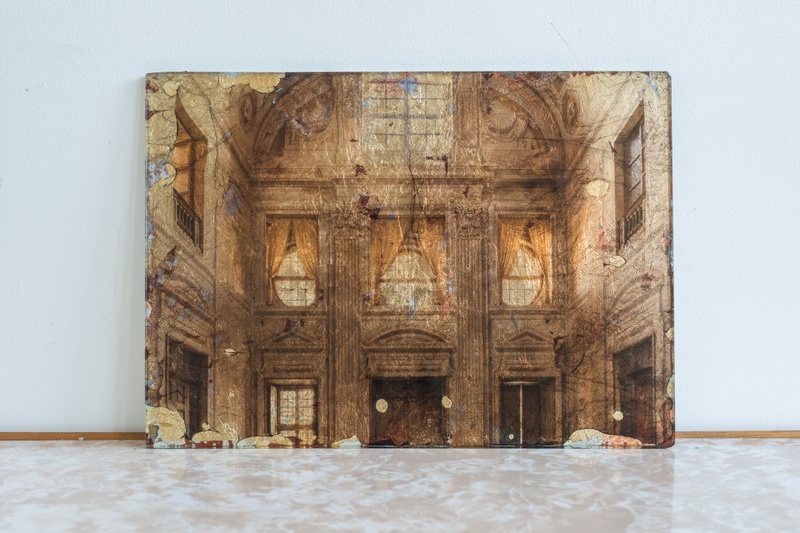 The work is then further developed through a process of corrosion as well occasionally the addition of gold leaf.